A new study has found that a surprisingly high number of people wrongly believe they are allergic to penicillin, and that might end up costing them somewhere down the line. Within the US, some 10% of all patients believe they are allergic to penicillin — but in reality, 90% of these people aren’t. This means that every year, millions of people can end up taking alternative antibiotics, which are more expensive and can destroy the body’s healthy bacterial flora. Furthermore, according to a study, which was carried out in the UK and published in the British Medical Journal, people with a penicillin allergy are 70% more likely to acquire a methicillin-resistant Staphylococcus aureus (MRSA) infection and have a 26% increased risk of Clostridium difficile-related colitis (C. diff.). This means that people who wrongly believe they are allergic to penicillin are needlessly subjecting themselves to additional infection risks. The good news, researchers say, is that there’s a simple allergy test which can be carried out, but it needs to be more widely implemented. People with an alleged penicillin allergy are typically given a prescription of broad-spectrum antibiotics which, as the name implies, cover a broad number of microorganisms, and can end up killing more things than they should — particularly, the body’s useful bacteria. Any imbalance in the body’s bacterial fauna can weaken the immune system and make it easier for other infections to take over — especially drug-resistant bacteria like MRSA. 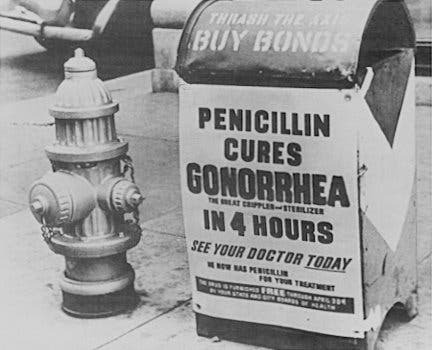 Meanwhile, penicillin is a very targeted and potent drug, ideal for treating a particular set of infections. “Penicillin-related drugs, that whole class … they’re very effective at killing, and they’re very targeted. So for some bacteria they’re still the best. Oldie but goody,” Kim Blumenthal, lead author of the new study and assistant professor of medicine at Harvard Medical School, told the Washington Post. “I have seen so many terrible, terrible outcomes” from C. diff. infections, Blumenthal said, including serious diarrhea, sepsis and death. Penicillin was discovered in 1928 by Scottish scientist Alexander Fleming, and started being used to treat infections in 1942. While the number of penicillin-resistant bacteria is increasing, penicillin can still be used to treat a wide range of infections caused by certain susceptible bacteria, including Streptococci, Staphylococci, and Clostridium. An estimated 0.03% of the population have serious allergies to penicillin. Things can get even worse when targeted penicillin isn’t used. Using non-targeted, broad-spectrum antibiotics can breed the next generation of drug-resistant bacteria. According to the CDC, some 2 million people get infected with these pathogens every year. Among these, over 23,000 will go on to lose their lives as a result of the bacterial infection, which often leads to other complications. The World Health Organization has also identified drug-resistant pathogens as one of the main threats to human society, and already, some infections are becoming nigh impossible to treat — including gonorrhea. Well, it sure used to at least. It’s still not clear exactly why so many people wrongly believe they are allergic to penicillin but doctors have a few good ideas. 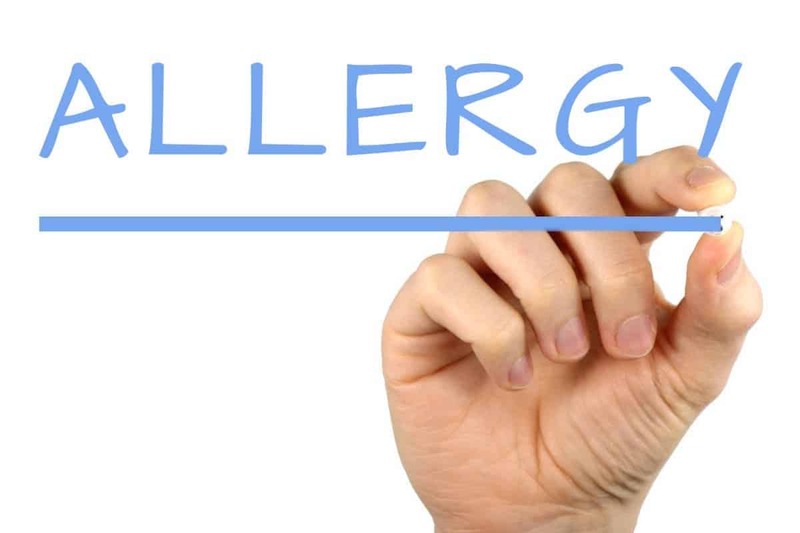 For starters, many are diagnosed with the allergy as a child, and they grow out of the allergy — something which can happen but isn’t a guarantee by any means. Then, allergy means different things to different people. Essentially, an allergy is simply an exaggerated response of the immune system, but that can range from a minor rash to life-threatening issues. If a patient comes into the hospital suffering from a serious, potentially life-threatening condition, and his file says “allergic to penicillin,” doctors simply won’t give him the drug. But quite often, it could ultimately end up saving his life, with only a minor side effect. In most cases, researchers say, penicillin should only be avoided if the side effect is serious. If you’ve been previously diagnosed with such a penicillin allergy, but more than 10 years have passed, doctors suggest to get re-tested.